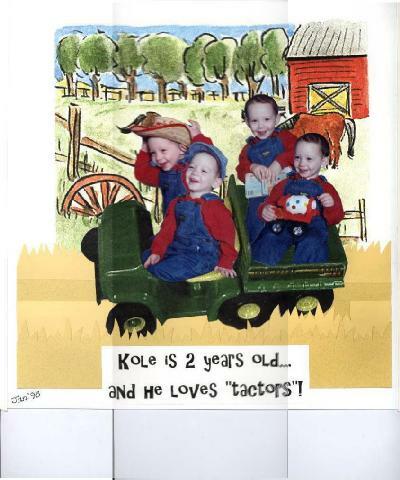 My grandson called tractors "tactors". My daughter silhouetted several studio pics and added some clip art background. John Deere is a ditial photo of a toy.